Now that the Christmas gifts are done and we are just few hours away from the New Year it is time to think about the next projects. 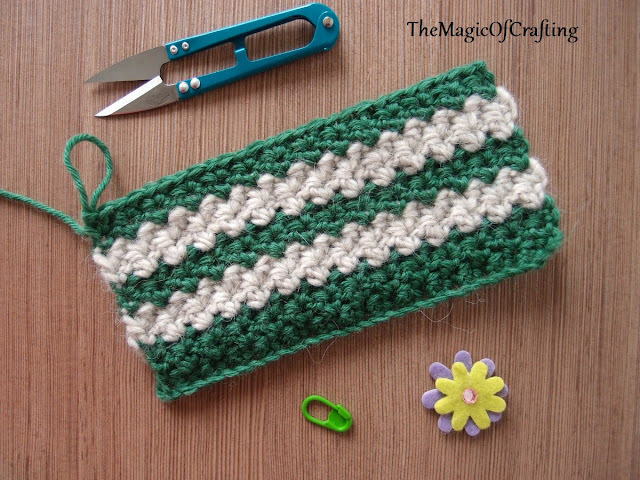 If you are looking for an inspiration try with this very simple but beautiful stitch pattern - it uses only basic stitches (combination of single and double crochet). Change the colors to get even more amazing look. 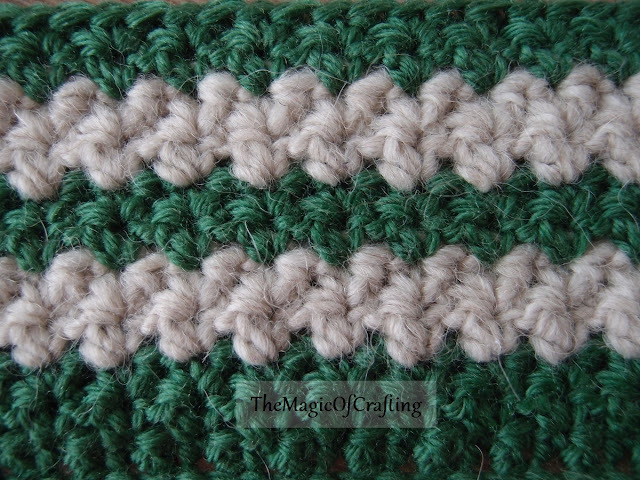 Use this stitch for blankets, pullovers or any other projects where you need extra warmth. Row 1: Ch any even number of stitches, sc in second hook from st, * sk one ch, [dc, sc] in next ch*, repeat * - * till the end. Turn. Row 2: Ch2, sc in the same st, * sk one st, [dc, sc] in next st *, repeat * - * till the end of the row. Turn. Repeat row 2 as many times as you wish. For the sample on the picture I changed the color every two rows (after the starting row). That's all. 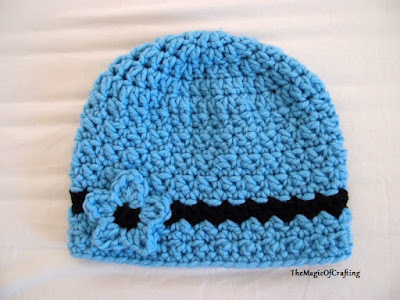 If you are enjoying this stitch share it with friends.